Metallised film capacitor manufacturers ICW and ICEL, have formed a co-operative agreement to offer one anotherâ€™s products in their respective home markets. ICW, were formed in 1974 and manufacture in Wrexham, North Wales. ICEL, were formed in 1960 and manufacture in Milan, Italy. 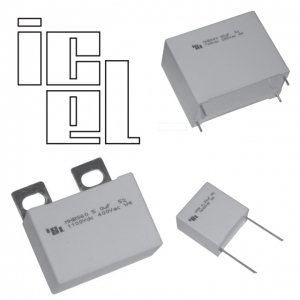 ICEL manufacture a comprehensive range of box radial polypropylene and polyester capacitors for snubber, pulse power and DC link and AC filtering applications. Download ICEL product cross reference table to review the ICEL product line with respect to other major boxed film capacitor manufactures product ranges.